Your horse has always given you its best. 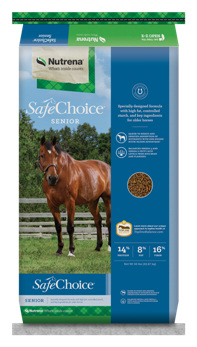 With ProForce Senior Horse Feed, you can do the same for your older horse. 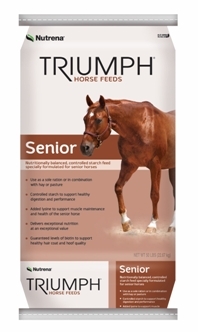 This proprietary formula is designed to meet the unique nutritional requirements of your senior equine athlete. 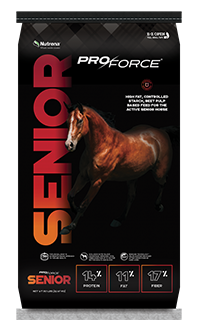 Use the feeding table as a guide for feeding ProForce Senior Horse Feed. Be sure to monitor your horse's body condition closely and adjust the feeding rate as necessary for the desired body condition and activity level. 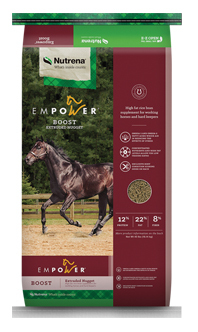 For horses who cannot consume roughage properly, feed ProForce Senior at a rate of 1.1 - 1.8% of bodyweight per day, in replacement of roughage.